Since many of you didn’t go to Sunday School today [5th Sunday], I thought it might be a good day to resume posting in the “CORNER”. Additionally, one of the great Deacons in our district, Deacon Grayling Davis, reminded me that I’d been slack in my duties here. So, without further ado, here it is. 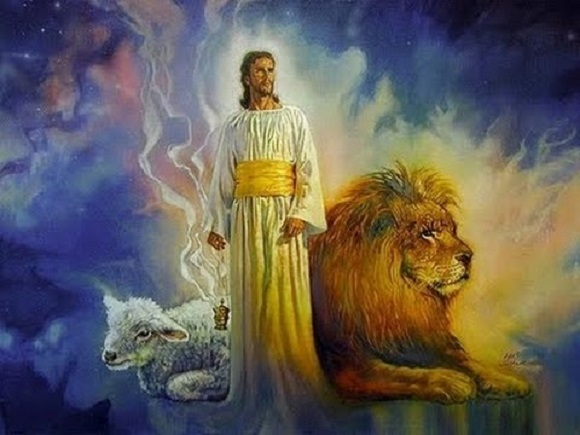 But, when John looked at the one identified as a Lion, he saw a Lamb who appeared to have been slain but was not dead. Instead, although scarred, he was STILL STANDING. Most of us know that the alternator is the object—in our vehicles—that charges our batteries when we’re riding around. That charge gives our vehicles the “kick” they need when we get up in the morning and go out to start them. If that battery isn’t charged, the vehicle won’t start. Most folks—with some mechanical knowledge—will tell you this, “Well, it’s either your battery, or it’s your alternator. That’s how it is with us sometimes. Sometimes, our spiritual batteries run down. When that happens, we start to experience some issues. First, we might call someone—either a family member, friend, or neighbor—who has some jumper cables, to come and “jump it off”. That works, temporarily, but if the alternator is bad, sooner or later, we’re going to have the same problem again. Likewise, when our spiritual alternator is bad, our family members, friends, and neighbors can’t help us. It’s then that we, NEED A NEW ALTERNATOR. The alternator provides electrical POWER to our cars, likewise, the spiritual alternator provides POWER to our LIVES. We have to get connected and stay connected to the one with ALL POWER IN HIS HANDS. So, what are some hints that we might be connected to a bad alternator? It’s quite likely that your vehicle is equipped with a warning indicator light in the dashboard titled “ALT” or “GEN.” This is often the first indicator that the alternator is going bad. Don’t ignore this indicator, even if you are experiencing no other symptoms. Take the vehicle to a reliable automotive specialist for a diagnostic. It is OBVIOUS that we have a problem when we start getting INDICATORS. Indicators are; financial troubles, marital troubles, children problems, just can’t seem to get ahead, sadness, depression etc. When we get these INDICATORS, its time to get a diagnostic. Check ourselves before we wreck ourselves. Go to the Mechanic that can fix ALL of our problems. Flickering or dim headlights are a strong signal that your alternator may not be working correctly. The alternator provides power to the headlights, so the flickering usually means the alternator is struggling to perform. If your light is getting dim or the brightness seems to be fading—that’s a sign that our alternators might be malfunctioning. When the alternator is going bad, other systems that are powered by the alternator may start to act up. These can include the power windows, power locks, dashboard lights, air conditioning, even your car radio. When things all around us start to malfunction, we might need a new alternator. This seems like a vague symptom–after all, lots of things can cause unusual noises in the car. However, sometimes alternator failure can cause some of the bearings to fail in the engine, creating unusual rattles. There are “noises” all around us every day such as people talking, gossiping, backbiting, lying on you, or whispering vileness in our ears. Beware of “strange noises”. Car stalls or has difficulty starting. Your car isn’t just running on gasoline; it also runs on electricity (even though it might not be one of those hybrid vehicles). The alternator provides power to the spark plugs that ignite the gasoline in your engine. When the alternator is failing, there might not be enough power in the spark plugs to keep the engine alive, which can cause it to stall for no reason while running, or to have trouble starting. Ignore this symptom, and your car eventually won’t start at all. When our lives seem to come to a standstill; when it seems like—no matter how hard we try—we just can’t move forward; can’t make progress; stuck in a rut—we just might need a new alternator. Obviously, batteries sometimes fail on their own–but a bad alternator can actually cause the battery to drain because it’s failing to recharge it. If your battery goes dead, have the alternator checked when replacing the battery so it doesn’t happen again. Death is the ultimate indicator—a dead spirit, a dead heart, dead faith, dead hope, and that ULTIMATE DEATH. If we find ourselves facing death of any kind, it is time to get hooked up to the ALTERNATOR that NEVER FAILS. IT’S TIME TO CALL THE MECHANIC!